Russia's second-largest steelmaker Evraz could be fined for alleged violations in pricing policies along with Mechel. Last week Russia Prime Minister, Vladimir Putin, accused Mechel of exporting coking coal several times cheaper than it sells at home. Putin ordered the Antimonopoly Service to look into the company's operations. Russia's Federal Anti Monopoly Service (FAS) has begun a preliminary investigationat a Mechel coalmine in the Kemerovo region.FAS chief Igor Artemyev said that Mechel might not be the only one subjected to antimonopoly sanctions. 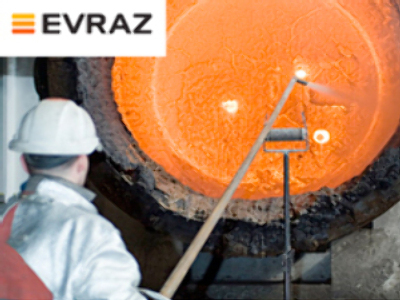 On Tuesday he confirmed that Evraz Group might be also fined for breaking antitrust laws along.